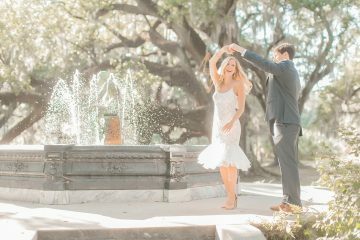 Beth and Philip are looking forward to their New Orleans wedding this fall because they fell in love with New Orleans, and they also fell in love with one another in this fabulous city. They are most looking forward to showing their families what New Orleans is all about, and providing an experience that they’ll not soon forget. I feel like they’ve started their wedding journey strong with this set of engagement photos, and I have no doubt their families will agree! We discussed some ideas for helping with the nervous jitters before the session, and they heeded our advice. After about 20 minutes, Beth and Philip really settled into the session and into one another. They got through it with humor, encouragement, and affection. 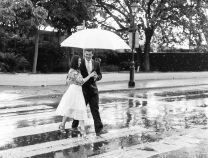 The things they told us hold them together on a daily basis We love when our couples dress up for their engagement session! We feel that it helps boost confidence. Think about when you leave the house feeling good in what you’re wearing — you almost strut sometimes! Haha! 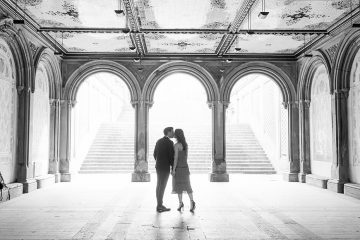 It’s certainly essential for your engagement session to feel that confidence. I think these two nailed it with the suit and the sparkly dress. They looked incredible!! 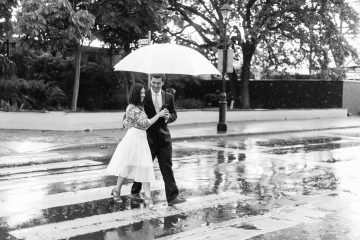 We are looking forward to telling your wedding story in November, and we can’t wait to welcome your families to New Orleans! Enjoy!